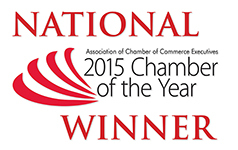 Looking to get more involved in Your Chamber? 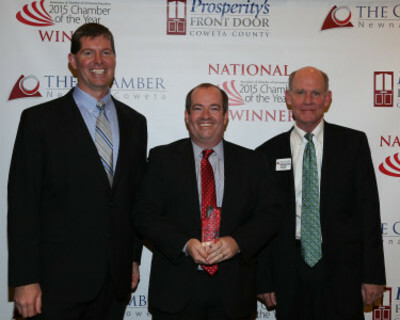 Become a Chamber of Commerce Volunteer! Volunteers are the strength of our organization and we greatly appreciate your help. The 2016 Volunteer of the Year Award was presented to Kim Melhouse of Tiernan & Patrylo. This award recognizes an individual who has made extraordinary contributions of time and leadership that resulted in tangible benefits to the Chamber and its members. During our membership event last spring, Kim was responsible for bringing in lots of new members, which earned her the title of the Chamber's first and only Godmother, joining the ranks of our Godfathers, Dennis McEntire and David Watts. Kim also co-chairs the Golf Life Ladies League and serves as an integral part of the Winter Wonderland Expo Committee. 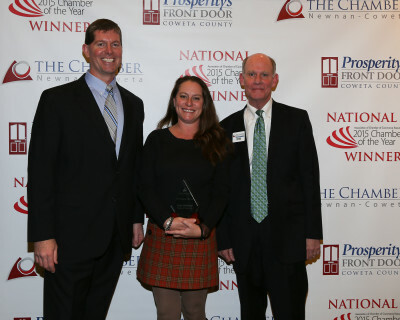 One of our Chairman's Award winner this year was Garnet Reynolds of BB&T, who leads the Leadership Coweta program with Senator Matt Brass. Our Chamber took a break from the Leadership Coweta program the last two years in order to restructure it and add new value. When it was relaunched in 2016 Garnet led the charge, and by all accounts, it has been wildly successful. In addition to taking charge, he also attends and leads every meeting and is with the class every step of the way. Our other recipient of the 2016 Chairman's Award was Lana Mobley of NuLink. 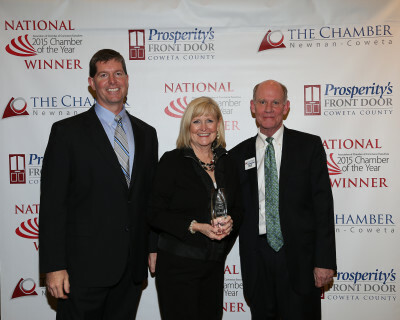 Lana and her team at NuLink have been huge supporters of the Chamber over the years. They are the original sponsor to have a signature event named after them, the NuLink Early Bird Forum. Also, they continually interview various Chamber leaders on The Link to promote what is going on with our organization, and they record and broadcast many of our Chamber lunches and events on the local station, giving us a broader reach in the community.